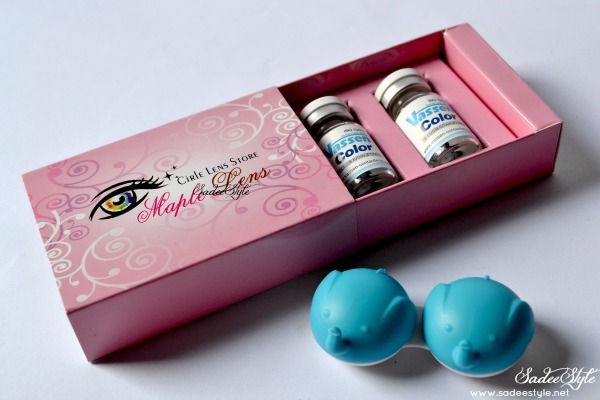 I own a pair of blue lenses from Maple Lens and very excited to share them with you girls. These lenses were sent from maple lenses for the review purpose. This is the first time I'm reviewing maple lenses as all of you know I usually wear grey colored lenses, but I hooked with the vassen blue lenses at first glance so decided to review them first. 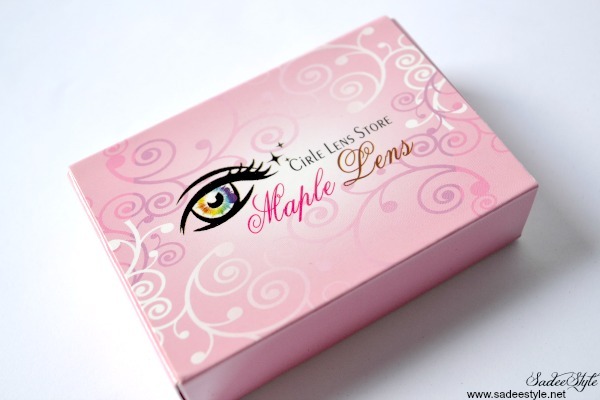 MapleLens is a circle lenses online store located in Malaysia that provide full range of Korea circle lens and color contact lenses. They strive to be one of the top and best online shop that offer circle lens out there, customer satisfaction is our top priority. They offer the best quality of circle lenses in the market through online. You will be able to find various choice of circle lens which gave you nature look, barbie eye appearance, big eye enlarging and vibrant color circle lens. All their lenses are genuine Korean product with CE and KFDA approved and are perfectly safe to wear in your eyes. I adore the packaging that cutest ever! came in a cute designed pink box with cute elephant cases. I was very excited to try them and forget to take pics in vials. 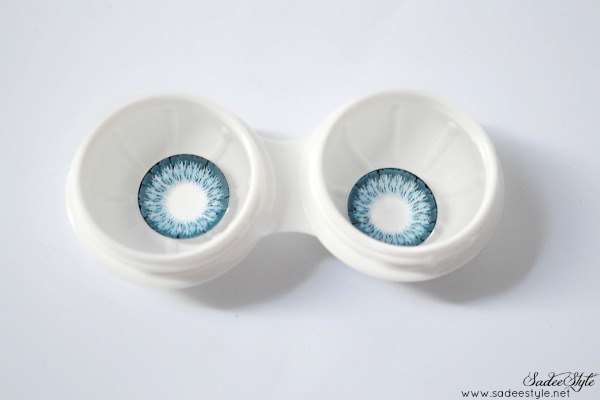 These actually are blue colored lenses with an outer black ring surrounding the actual colored part. The color is quite strong shows up well on my dark black eyes. Design is simply beautiful and near to natural look. They feel light, fresh and very comfortable. These lenses come with prescription available. These are an extra beautiful circle lenses, definitely recommended if you want fresh & doll eyelook! I would suggest you to consult your eye doctor before applying any kind of contact/colored lenses. 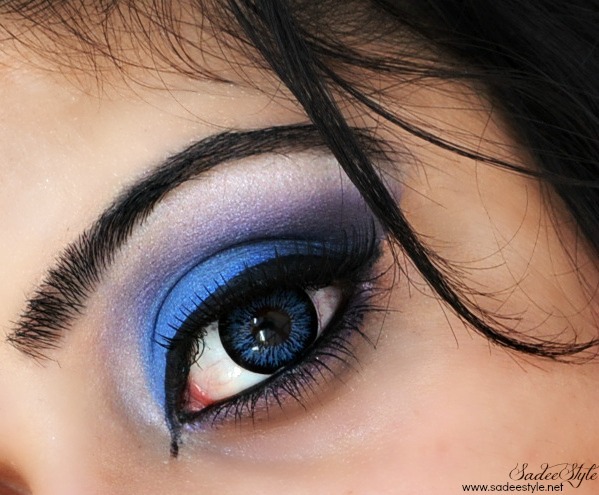 Wow the love your eye makeup <3 These lenses look beautiful! Wow, those are so magical! Wow! Love how vivid the colour is! Very pretty! Circle Lens from Maple Lens.We strongly believe circle lens will make your eyes crystal sparkling than colored contact lenses.